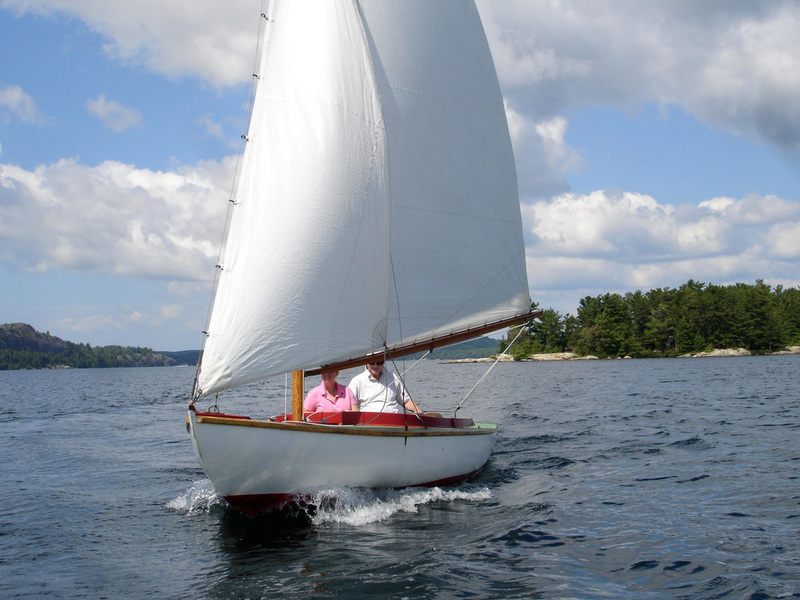 I was contacted in the summer of 2016 to have a look at a family's daysailer for a centreboard trunk repair and some paint and varnish work. Once I got to their cottage and had a preliminary look at the vessel it became apparent that the repairs would go beyond just cosmetics and rebuilding a leaky centreboard trunk. I brought the boat home to my shop to get the seats and floorboards out so I could have a good look and come up with an estimate of what repairs were needed. 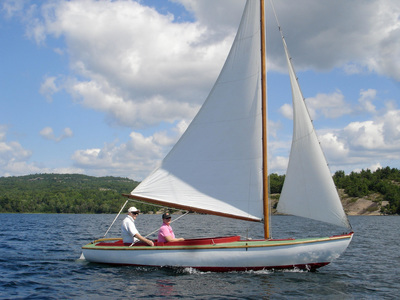 What I found was she needed a complete structural restoration, replacing the keel, stem, centreboard trunk, and ribs as well as the decking. The planking seemed sound and only ended up needing to be stripped and repaired to be serviceable again and the deck structure was fine. The mast and boom would be stripped and re-varnished. Copyright 2017 - 2018 Whippletree Custom Woodworking Inc. All rights reserved.